The Bi-State Development Agency (BSDA) announced the appointments of Vernal Brown and Irma Golliday to the BSDA Board of Commissioners during the February board meeting February 27. 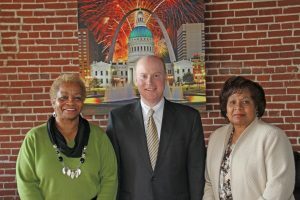 Brown, a resident of St. Louis County, was appointed to the BSDA Board by Missouri Governor Jay Nixon and replaces Commissioner Kevin Cahill. Golliday, a resident of East St. Louis, Ill., was appointed to the BSDA Board by St. Clair County Board Chairman Mark Kern and replaces Commissioner Fonzy Coleman. 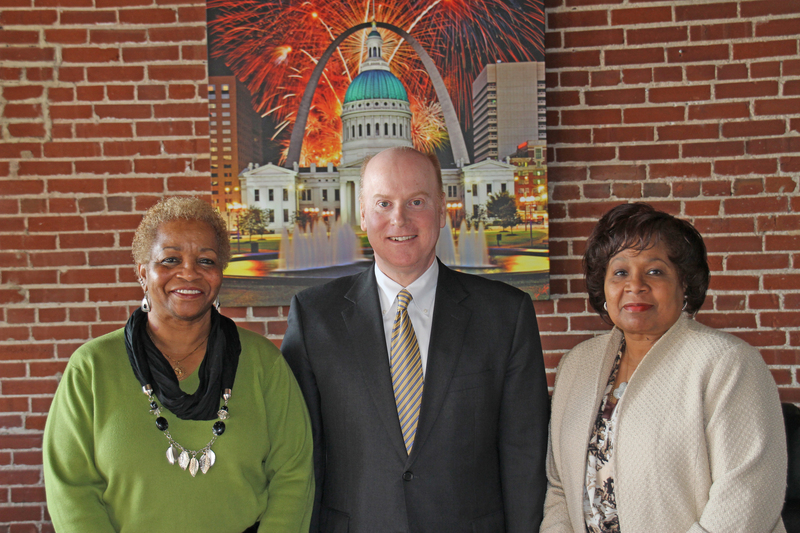 Brown has served as a UAW Ford benefits representative in St. Louis since 2000. She began working at the Ford Motor assembly plant in Hazelwood, Mo., in the mid-1970s and is a founding member of the UAW Martin Luther King Jr. Non-Violent Committee and the UAW Region 5 Culture Diversity Program. Golliday has served as the executive director of the East St. Louis Park District since 2005. Prior to her current position, she was the southern region coordinator for the Illinois Secretary of State’s Organ and Tissue Donation Program. Golliday also serves on the St. Clair County Parks Commission and on the boards of East St. Louis School District #189, the Katherine Dunham Centers for Arts & Humanities, and the Southern Illinois Healthcare Foundation. 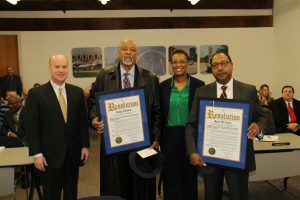 Departing Commissioners Cahill and Coleman have both served on the BSDA Board for more than 10 years. Cahill was appointed to the board on Sept. 1, 2004. He has held the position of Secretary to the Board for the last eight years and has served on several board committees, including the Strategic Planning, Operations, and Pension, Finance and Audit Committees. Coleman was appointed to the board on Jan. 28, 2004, and held the position of Secretary to the Board until 2007. During his tenure, he has served on several board committees, including the Sales and Marketing, Business Services and Economic Development, and Operations, Administration and Diversity Committees. Commissioner Hugh Scott III from Missouri also resigned from the board earlier this year, but his replacement has not yet been named. Commissioner Aliah Holman was elected to the office of Secretary to the Board at Friday’s board meeting. The Bi-State Development Agency 10-member board provides overall leadership and policy direction for the Agency, and is comprised of five members from Illinois and five from Missouri. In Missouri, the governor selects members of the board. 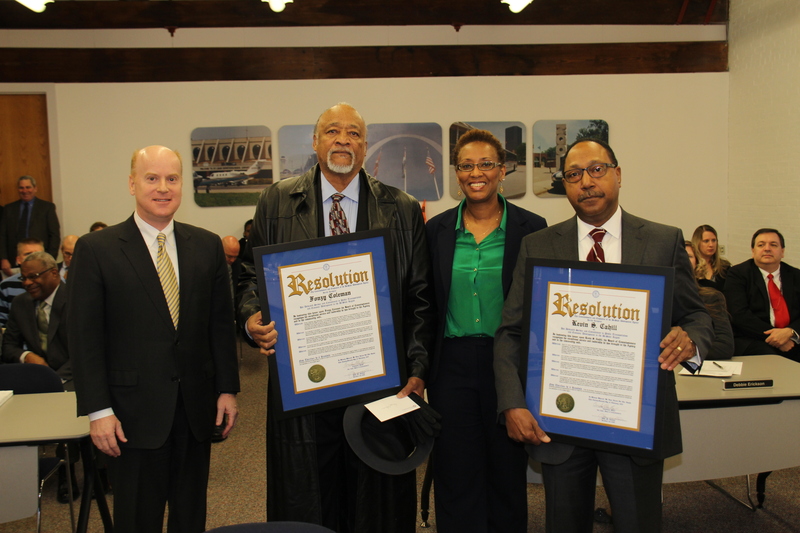 In Illinois, county board chairmen for both St. Clair and Madison Counties appoint their representatives.